For the Golden Roofpark at the Axamer Lizum near Innsbruck in Austria it is time to rise and shine for the second time. 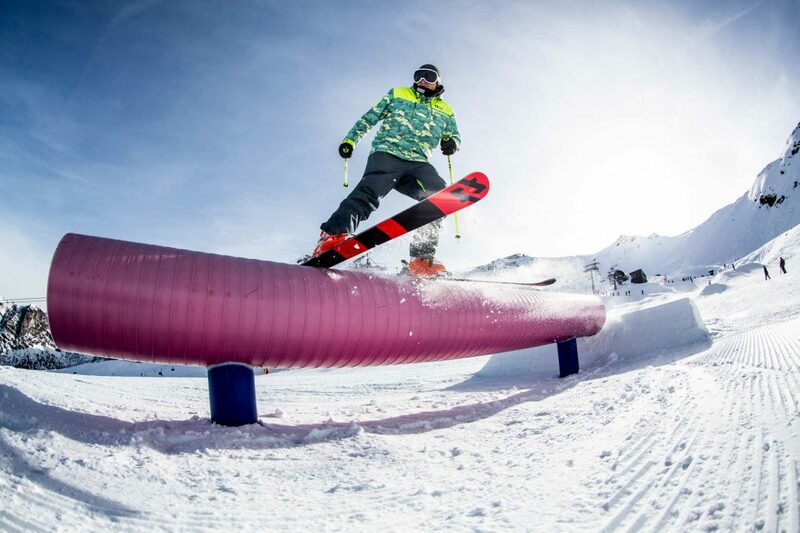 Once again, freeskiers will get a massive playground to shred. The shape crew around the British park designer Samantha Bird is already preparing everything for the upcoming season and really looking forward to shaping you an awesome home base in the Tyrolean snow. Autumn already had several snowy greetings to offer, if winter keeps up that good work, the season is going to be sick. 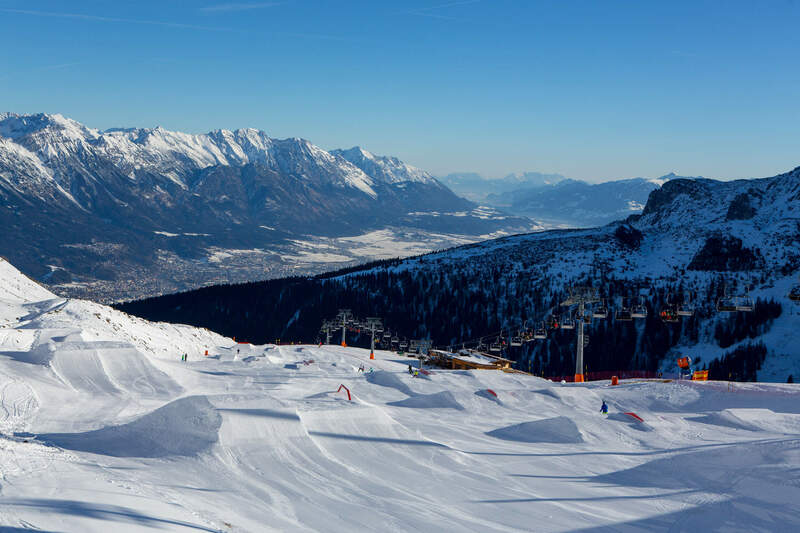 “The closest ride from Innsbruck” is back for more and is offering 400 meters of freestyle action. That means a hefty load of kickers, rails, jibs and boxes. Whether it is last-season’s darling, the Rooftop Jib or the highlight corner to the right, the beginner or the medium area, there is more than one line to hit for you and your twintips. The regional freeski community does not need long road trips in order to have some fine park sessions. If you feel like you cannot wait any longer, treat yourself with the animated set-up in 3D or the virtual reality of the Golden Roofpark Axamer Lizum. The fastest way to freestyle paradise is the same as last year. Take the Olympiabahn up to the “Hoadl”, then the chair lift “Karleiten” and you end up at the entrance of the Golden Roofpark. With the park lift a quick return to the line-up after every run is guaranteed. Whoever wants to take it a little bit easier, can always chill at the “Sunnalm” and watch the other shred heads stomping their tricks. But the view over the park will not let anyone sit for long in his or her deckchair. The cherry on top of the ice cream bowl called Golden Roofpark will once again be some sweet events. In 2018, rookies can gain first snowpark experiences at the SNOWHOW Kids’ Day on January 28. Two weeks later, on February 10, it is all about “Gold & Glory” when the QParks Freeski Tour again stops by at the Golden Roofpark Axamer Lizum. All information according to the set-up, the shred weather, the events of the upcoming season or whatever happens at the Golden Roofpark Axamer Lizum is to be found on www.roofpark.at, via the Facebook page of the park and also in the park’s app for Android and iPhone.